Telstra has become the first major telco in Australia to launch plans that allow consumers to share data across multiple devices, but will charge a $10 monthly fee just to enable the service. The Telstra Every Day Connect Data Share Packages are available from today and allow up to four devices, one mobile phone and up to three additional data-only products, to connect with a single account. The shared plans are available to both new and existing customers and enable consumers to combine their data bills, negating the need for two separate accounts. However, Telstra will charge a $10 "sharing fee" just to activate the service, and a further $10 fee per shared SIM-card for each additional device. The data sharing packages can be added to any new or existing Telstra Everyday Connect plan. The plans start from $50 per month if you bring your own phone, or from $60 per month if you choose a new phone from Telstra. Telstra's group managing director for consumer, Karsten Wildberger, said the shared data plans have long been demanded by Australian consumers. "With people more connected than ever before, customers are looking for a simple solution that will allow them to manage their usage across all their devices and make their data allowance go further." "Telstra’s Every Day Connect Data Share Packages will help fill that gap and allow customers to share their monthly mobile data allowance between their mobile and multiple data devices - including tablets and laptops - all under one package." Telstra's smallest plan offers 1GB of data per month, while the top $140 plan ($100 BYO), offers 3GB of data per month. 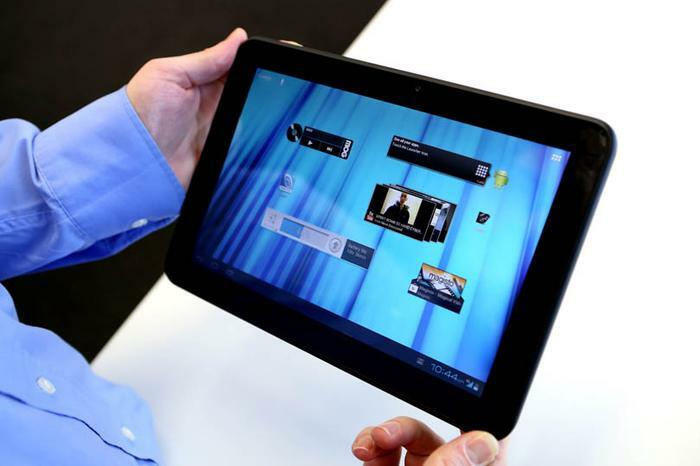 The data sharing plans are primarily targeted at tablet users, but can also be used in Wi-Fi hotspot devices, or any other data-only products that require a SIM-card. 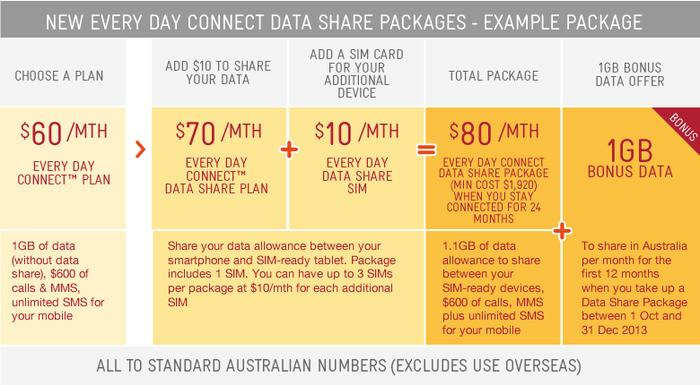 As part of an exclusive launch offer, Telstra says customers who sign up for an Every Day Connect Data Share Package before Tuesday, 31 December 2013 will receive a bonus 1GB of data per month for the first 12 months of their plan. A Telstra data share example package. The 1GB bonus data offer will be removed if a customer cancels the Every Day Connect Data Share Package, or moves to an ineligible plan. What do you think of Telstra's new data share plans? Would you consider them? Let us know your thoughts in the comments below!